02:04:978 (2) - does this need this much spacing? That's all from me, your map looks cool! I enjoyed playing, modding, listening, etc. It's only that some hypers are too sudden. Otherwise, it flows and follow the song perfectly! 00:12:907 (27) - Would make this a finisher because it's not only the beginning of the song kind of but also there's a cymbal. 00:19:335 (52,53,54) - Would work better as k's cause it's a snare pattern in the song. 00:24:264 - This is a very large difficulty spike for a part of the song that is meant to be calming down into this quieter section. 00:32:835 (19) - It's not a sin, in fact, it's probably needed, to delete this note to have a break here, since muzus still should have 1/2 breaks every now and then. Also this doesn't sound like it's mapped to anything in particular in the first place. 00:37:549 (33) - Same with this note, you're mapping to that background guitar part that you had never mapped to before so it seems random. 00:39:049 - This is too busy for a calm section of the music, I recommend changing it to d k ddd k d k.
00:40:335 (47) - Also make this K since it's a drastic change in the instrumentation and also there's cymbal. 00:43:121 - / 00:49:978 - Don't see why this needs to be here or what it's supposed to represent, two 1/2 d's will have the same effect without the unnecessary added difficulty, and it will also put emphasis on the vocals you're mapping with the k's. 01:18:049 (99) - This should be a D, and to make it appropriate I would remove the triple and just make 01:17:835 (98) - a k instead. 01:19:764 (105) - To match the D above this should also be a K, cause cymbal. 01:21:478 - In this area you may want to remove some triples in order to use appropriate finishers, I think the finishers represent the music more efficiently at this level than a triple. 01:46:764 (40) - Ik you don't map every snare his as k, but this is so exposed you probably should. 00:41:514 (71) - This isn't in the music anywhere, and the beat it's before does not need any emphasis, so delete. 01:27:049 (184) - This doesn't need a finisher. 01:26:514 (181) - All of the pickups like this are sacrificing not mapping the vocal (something important) for mapping the little background hihats (not important). I recommend you map to the voice like in the muzu for this section instead of doing some awkward improv stuff. 01:58:335 (40) - Again, this has no reason to be a finisher. 01:59:192 (46) - But this should be a finisher, usually the first beat of every 4, 8 or 16 bars is finished. 02:31:657 (37,38,39) - 1/8 doesn't really have any place in a 4* oni imo, it would throw people off too much for something that could be represented just fine with kdk. 00:39:049 - This is too busy for a calm section of the music, I recommend changing it to d k ddd k d k. disagree, the piano thing is the same as up there. 00:43:121 - / 00:49:978 - Don't see why this needs to be here or what it's supposed to represent, two 1/2 d's will have the same effect without the unnecessary added difficulty, and it will also put emphasis on the vocals you're mapping with the k's. yea but theres a piano thing there that sticks out a lot imo. 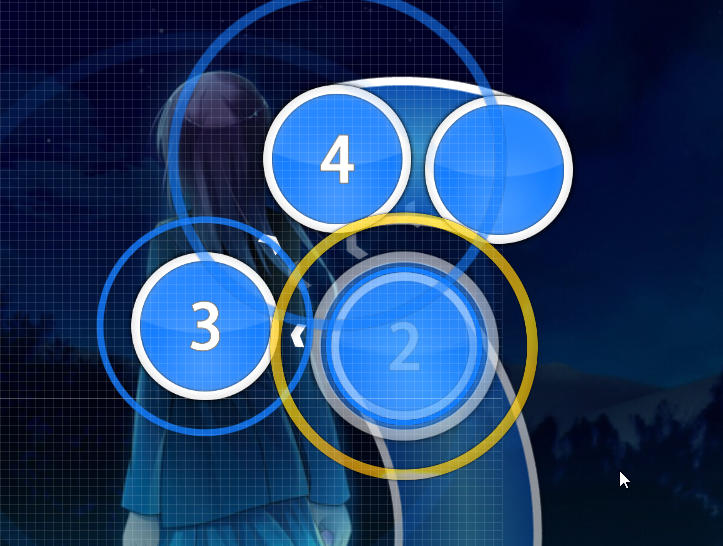 01:21:478 - In this area you may want to remove some triples in order to use appropriate finishers, I think the finishers represent the music more efficiently at this level than a triple. yea but i dont like finishers tbh. i dont want to say its my style but.. its my style. i think triples represent the song fine. 03:31:871 - delet dis. no. 00:41:514 (71) - This isn't in the music anywhere, and the beat it's before does not need any emphasis, so delete. actually there's a buzzing sound-- ok but for real a 1/1 gap there just seems weird as hell. i dont think 3/4 creates emphasis per se, since it's a double, but filling it in is nice. 01:26:514 (181) - All of the pickups like this are sacrificing not mapping the vocal (something important) for mapping the little background hihats (not important). 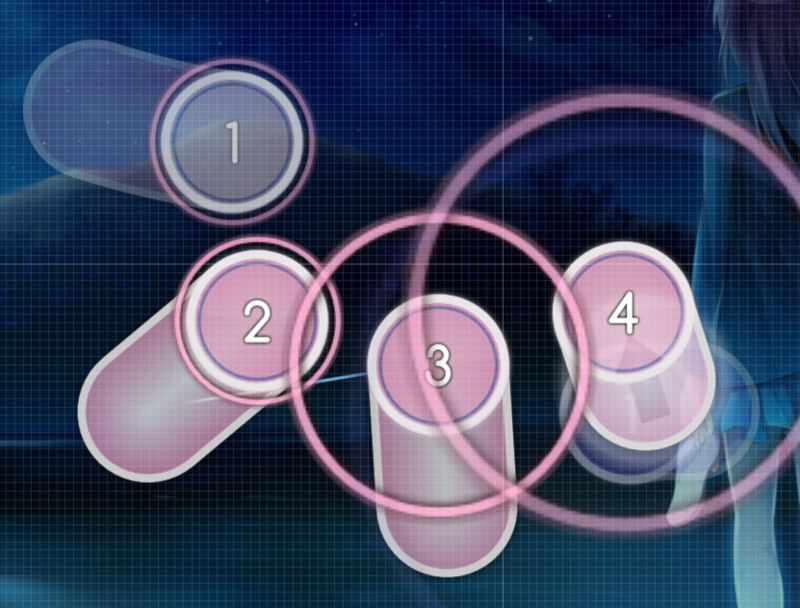 I recommend you map to the voice like in the muzu for this section instead of doing some awkward improv stuff. but i dont want to map the vocals.. this stuff highlights the unique point of this song which is 3/4 based rhythm. 01:10:978 (6,1) - I think (1) can be more horizontal as (6) is a hyper -- hyper following with a vertical slider would make a sudden stop which ruins the flow vertical sliders don't kill flow, at all. 02:29:192 (1,2,3,1,2,3,4,5,6,7,8,9) - I think jumps on every three notes is a little bit off, I suggest making a jumps every four notes instead this small part is in 1/6, not 1/4. When using 1/6, patterns change every 3, not every 4. Well, I can't do much here, Great Map!!! Your mp3 file exceeds the 192kbps which is unrankable, replace it with one that is atleast 128kbps and less than 192kbps. 01:31:549 (4,1) - this was mapped without a triple but this 01:33:264 (5,6,1) - is? they're basically the same sounds here but its kind of inconsistent on what it is right now so i suggest to map it as a triple and stack it with 01:31:764 (1) - and since 01:31:549 (4) - is sort of a sharp loud sound here then it would be perfect to map this with sort of sharp flow as well if you take my suggestion here. 01:03:585 (4,5,6,1) - is not this a bit overdone pared to the previous parts and the following? what do you mean o-o? isnt it building up to more intense parts? 01:23:028 (165,166,167) - ,01:59:028 (44,45,46) - , 02:02:456 (64,65,66) - ,02:16:171 (31,32,33) - recommend avoid use the D/K at triple beat end tho it's not unrankable. 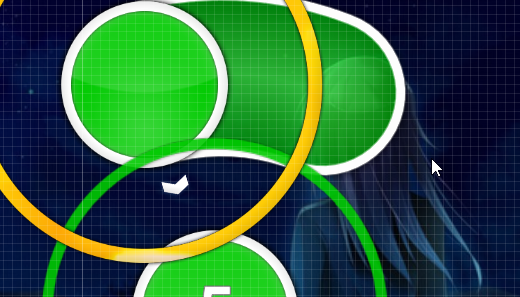 01:15:635 (87,88) - I think about all kind of this pattern 2mins, finally I decide to point it out orz... I think it's too hard to player in Muzukashii tho it really exist the couple beat, you can ignore this, I just want to saying my feeling XD i am nt ure about these, i will get more opinion. 01:33:957 (162) - ^ same issue here this one is on piano. not sure if 3/4 is better there but idk..
Last edited by Nao Tomori November 25, 2017 at 3:47:55 AM GMT , edited 1 times in total. Mostly solid, only kudosu if its helpfull! 00:02:671 (1) - shoulndt this one end 1/4 beat erlier. nothing on the white tick. 00:03:314 - wierd to not map anything the vocal here. imo would map the vocals instead of piano and just have a 1/1 repeat here. 00:07:599 (2) - imo would have this point a bit to the left. 00:39:099 (9) - if there isnt something wrong with the map on my end (offset was completely when i first went to mod, so had to re dl) i think piano actualy hits a bit later. maybe on the 1/8 after (which is wierd) just check it out. 00:55:599 (6) - maybe a bit too anti-flow? point it a bit less to the left. 01:07:814 (1,2) - feels a bit awkward to play. 01:09:314 (5) - bit to much anti-flow again imo. Tilt a bit more upwards. 01:10:171 (3,4) - also feels awkward to play. 01:41:885 (6) - pointing it out for the last time, maybe more later in map but you get my idea and either agree or dissagree, i think a these sliders make for a bit too much anti-flow. 01:50:671 (1) - imo would tilt this more to the left, to reduce the need to tap-dash. 02:24:849 (3,1) - imo would have 1 on something like x:420 to make it stand out more than the faint sound on 3. 02:48:207 (4,5) - should'nt there be a small jump here to emphasize the strong vocal? 04:39 Doormat: 03:20:457 (6) - why is this 3/2 "for variety"